The clarity of the working class vote to leave the EU has further divided an already divided ruling class. If Parliament votes against the referendum result and its own previous decision to leave the EU on March 29th it will set itself against democratic advance for the first time since its creation in 1649. The situation would be very severe. Big business and the EU would in effect be directly running our affairs. The people will lose all trust and confidence in Parliament. In the false name of parliamentary sovereignty, Parliament would hand over control completely to those we do not elect. British finance capital which represents the dominant section of the ruling class, by and large wants us to stay in the EU, but is more divided than previously and is in any event against another referendum on the question. Sections of British based finance capital are now attracted to the resurgence of a free world trading market. Since 2016 British ambassadors overseas have been busy encouraging new trading opportunities. There is nothing more precious and necessary for social progress and democracy than national self-determination. The British people must be able to govern themselves: this means our industrial and agricultural production, territorial waters and borders, fiscal and investment strategies, labour and capital flows, public services, utilities and trade must be under the control of our own elected government. 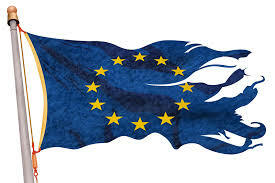 National independence is impossible inside the European Union, so too is the rebuilding of a productive, full employment based economy and the care and welfare of our citizens. Socialism is a recent, infant development in the whole, long history of the human species, yet its seeds and embryos have grown within each previous social formation worldwide. Its essence in collective labour, sharing, solidarity, mutual support and human empathy has been evident in every human society. What has been unnatural and inhuman has been the theft of the collective production of people and the private ownership of land. This has occurred in relatively recent, class divided history since the first City states in Mesopotamia 5,000 years ago. It was this division into various forms of haves and have nots over the centuries that gave rise to new ideas of socialism which aspire to and predict a future without class division, the oppression of women, or ethnic groups. On the occasion of celebrating 200 years since the birth of Karl Marx, 100 years since the end of the First World War and 101 years since the Bolshevik Revolution, the Workers Party of Britain has produced the following statement for consideration. It was presented to a meeting of sister parties on November 11th 2018 in Italy. A generation is 25 years. 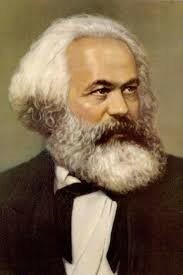 There have been 8 generations since the birth of Marx and 4 since 1917. Socialism is therefore very young in world history. It, alongside the development of productive forces, has shaped the modern world. Yet socialist ideas are also ancient and exist in all previous societies. Marx sought to complete the thought of the past by revealing the inadequacies of earlier theories and the strengths of the most penetrating ideas to replace capitalism.